One Year Since My Mum Died. 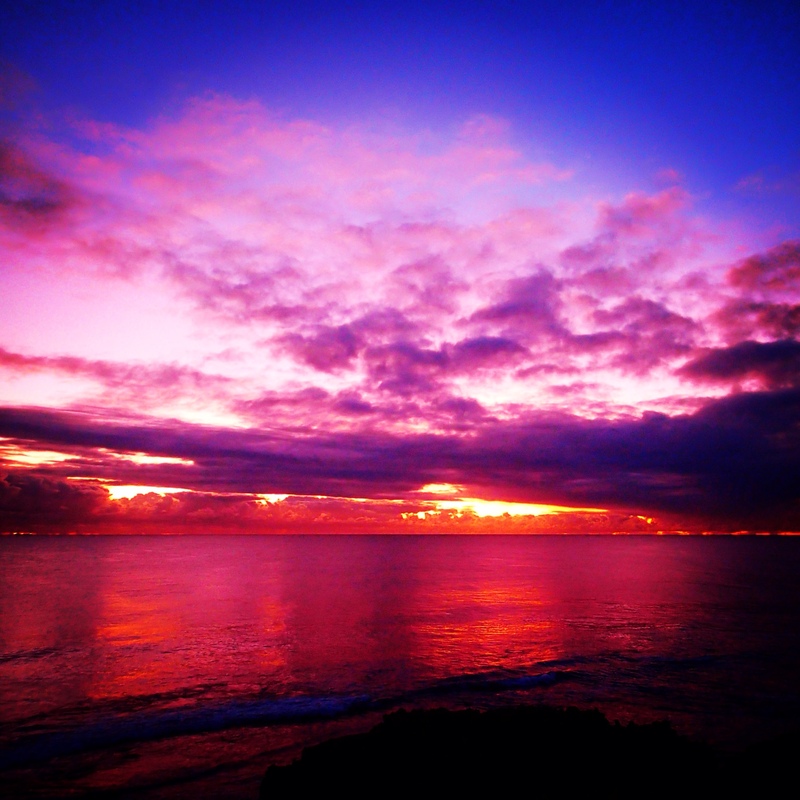 The amazing sunset on my Mums memorial night. The auspicious day marking one year since my Mum died recently came to pass. Now that it is over, I feel a sense of relief. There was a feeling of anticipation, and a build up of anxiety and pressure for me, as I knew the time had come to spread my Mothers ashes. I was quite tragic with emotion months after my Mum died. It took me awhile to process it all, and I remained strong for the funeral and during the time before she died. My emotional floodgates finally opened and there were many difficult, dark, lonely, miserable, horrible, depressing, suicidal, hopeless days. I felt very isolated, alone, and although I have good friends, I couldn't expect them to be there for me all the time, they have their own lives to live. I had to face it by myself. I can say now, losing my loving and devoted Mother to Cancer was the hardest thing I have ever had to deal with. Losing my Father to the same fate only two years previously was also high on the list of horrific life challenges. The collective challenge of losing two parents in two years was at times unbearable. I decided to do an ashes ceremony on the beach outside where my parents used to live together on West Coast Highway, here in Perth. I thought long and hard about where and what I was going to do for my Mum and this pressing idea won. I know my parents were very happy together at this point in time and place in history. They used to moor a little boat at the cove outside their house, and take boating and fishing trips up along the coastline. They worked hard at making this coastal two story house their dream home. I am pleased I can still see it today. In fact I was born in this house, conceived with an ocean view, no wonder I am so attracted to the beach! On the memorial night, I invited a group of my close friends and at sunset we had our own private and special ceremony. I gave a speech pressing on my gratitude to my friends gathered before me. My friends have been wonderful throughout this whole period and I am forever grateful for their kindness, love and support for my Mum and I. 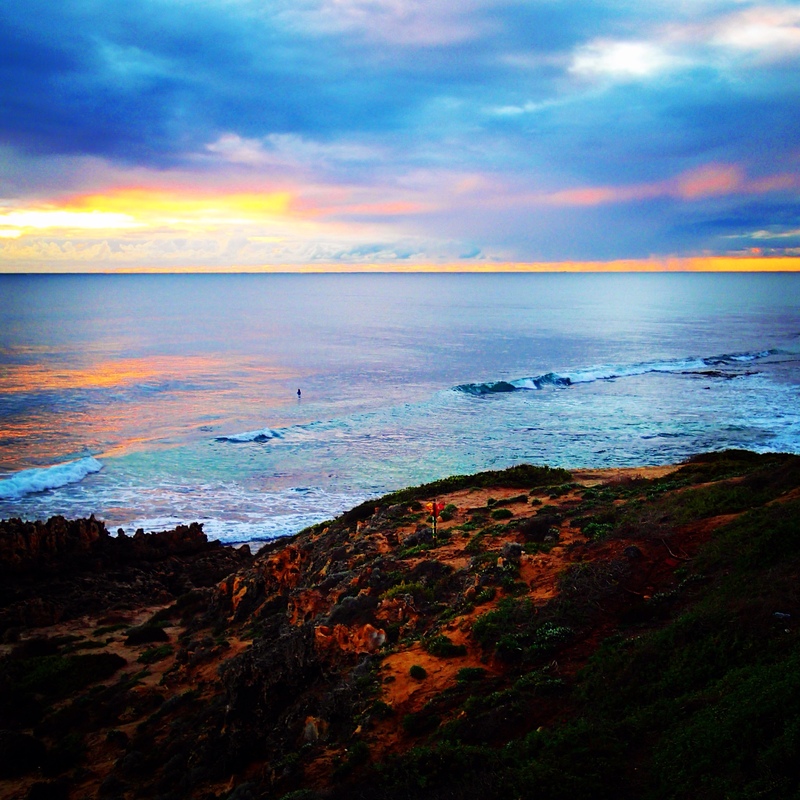 Magic coastline at Trigg Beach, Perth. The sunset this night was incredible; what was a windy cold day, turned into a calm peaceful and perfect evening at the beach in remembrance of my vibrant beautiful and adored Mother Stella Brown. When I returned home after the ceremony, I immediately noticed a change. My bedroom felt lighter, I feel like my Mums energy had lifted and she was free. When I connected to her the next morning her main message to me was 'thank you'. I know I did the right thing, and now she has been set free. She didn't belong at the bottom of my cupboard in a blue container. She needed to be set free at the beach in a place she loved, and in a place were memories were rich with love and happiness. Love you Mum. I have been writing this blog for a relatively short time, and my main purpose is to help other people. It is also a self expressive tool for myself, which is helping me in extraordinary ways in many areas of my life. Writing is cathartic, soothing to my soul, enjoyable and my words seem to glide out of the tips of my fingers like water down a bubbling stream. It's easy. I am in creative flow and have been for over four months now. At times I feel like I am channeling another voice, as words are recited to me in my head, I type them down as quick as they come. I am mad with myself if I get a creative inspired idea pop spontaneously into my mind and fail to write it down immediately. My mind is so busy, so frantic, so manic, so racey; my thoughts & ideas are moving at an incredibly fast pace, and if unrecorded they are lost in my mind traffic feed. I am finding it hard to keep up with myself! It took me awhile, but I can honestly say now, only a year later, not only have I survived, I have thrived. I have pulled myself out of my depths of misery and despair and decided that my life is for living. Out of respect to my incredible creators, my awesome parents, I am determined to make the very most of my life. I am determined to record a legacy of their teachings towards me, and share the lessons they have taught me. I am determined to do all the awesome things I have dreamed of doing, to take action and just DO IT! There is so much power in taking action. We all have the ability to make our dreams a reality. You can too! Soon I am embarking on a massive dream worldwide trip. One where I will be cruising Alaska, visiting friends all over Canada, UK and Europe, and going to all the places I really want to see and explore. I am looking forward to writing a lot along my journey and sharing with you my experiences. I am looking forward to photographing as many amazing places and images as possible! Photography brings me so much joy, it has become my most favourite creative tool lately. I hope you can continue to join me on my journey. 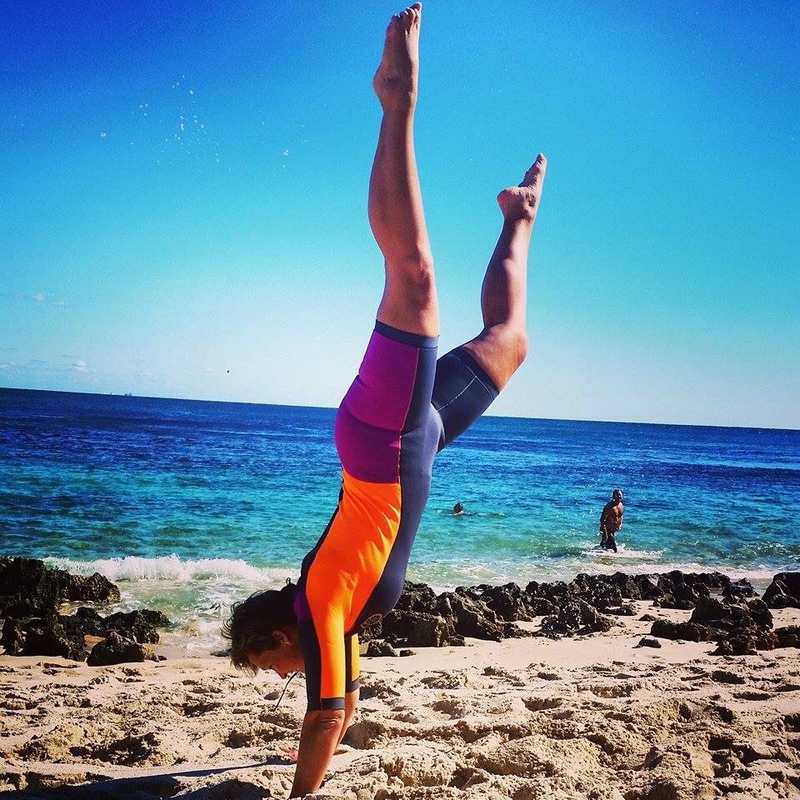 Feeling happy doing handstands at the beach on a beautiful day in my new winter wetsuit! I also want to say thank you to all those new and amazing people I have connected with through blogging. I love making a connection with you all through my writing and photography. I look forward to interacting and collaborating with more creative sparks all over the world in the near future. “We are all interconnected and that is a beautiful thing. We have links to everyone in our lives and in the world. Different people have different journeys for different reasons. We can't judge, but we can celebrate that there are connections everywhere.” – Jane Seymour, Brainy Quote. Anita, a huge thank you for sharing your story. I too lost my best friend, my mum 18 months ago to bowel cancer. I knew the day we were told she had stage 3, that one day soon I would loose my most treasured friend and mother. Well after a long 3 year journey and being by her side everyday, my dad and brother couldn’t and weren’t coping, I had to say goodbye. I have my good days and occasional bad days. I guess we learn to cope and like you are so grateful for the amazing 42 years I had with mum. After reading your post, I now need to start living my life to the fullest. Hard being relied upon as I am a wife, mother of two small children and a father who is lonely. If I can’t be happy and fulfilled how can the ones that rely on me! I also scattered my mums ashes at Quinns beach and now I am minutes away can here the waves crashing daily to remind me that my mums here with me. ← Good Routines – A Life Lesson Legacy.